On an ordinary English suburban street, in an ordinary English town, there lies an extraordinary secret…. 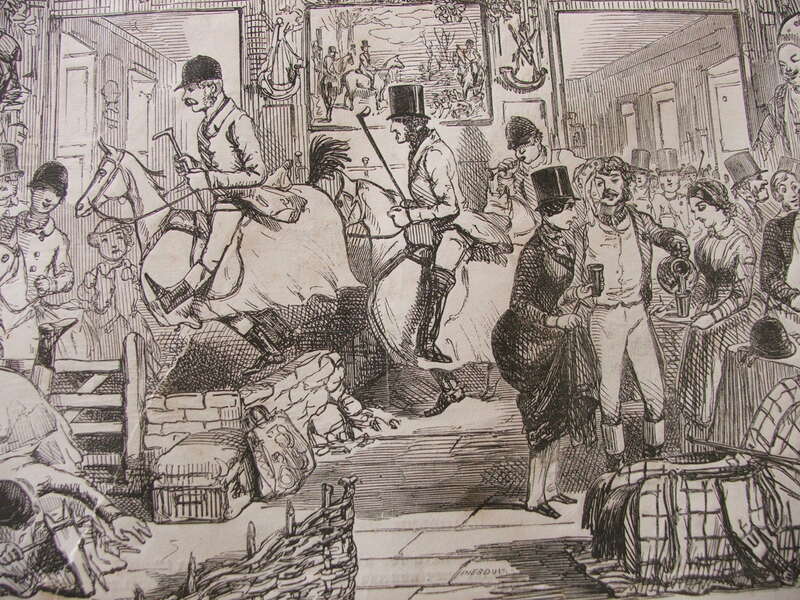 Welcome to the world of the mysterious Panacea Society…preparing the way for the second coming of Jesus in a very polite, practical and idiosyncratically British kind of way. I recently found myself in Bedford for a week and curious as to what the sights of Bedford might be, I did a little research. Suffice to say my interest was truly piqued when I discovered that only a few streets away from my hotel, just along the tree-lined river embankment, there was a very famous street. A street on which a house had been purchased and decorated almost hundred years ago, for a very special guest – the son of God himself. What’s more, there was a house a few doors away awaiting the return of the DAUGHTER of God. Mabel Barlthrop- a name to conjure with: respectable, middle-class, stolid, genteel, church-going. Not the kind of name you would associate with a Messianic religious cult. But oh, how many secret passions lurk behind the twitching net curtains of respectable middle-class sensibility? Mabel was born in 1866 in Surrey, and after a prim upper-middle class upbringing (involving contact with such luminaries of Victorian Society as Coventry Patmore, Millais and Ruskin) she left school to marry Arthur Henry Barltrop in 1889. Barltrop was a Church of England Clergyman and Mabel, like a dutiful wife took a keen interest in his theological studies. They had 4 children and lived happily for a time. However, their happiness was not to last as Arthur had an undiagnosed brain tumor which lead to chronic ill-health. Arthur’s fragile state of health affected Mabel and in 1906 she had a break-down and entered a nursing home – some say a lunatic asylum. She was diagnosed with Melancholia and was noted as believing she was responsible for all of the ills of the world. While she was recuperating her beloved husband had a stroke and died. This must have been a very traumatic time for her. 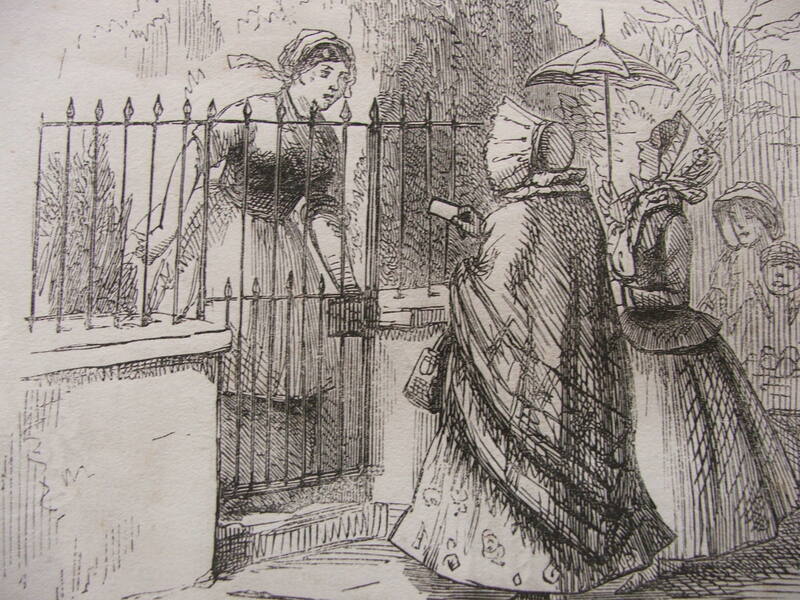 A widow now, Mabel took up literary criticism to make ends meet and she and her aunt raised the children in their Bedford home on Albany Road. 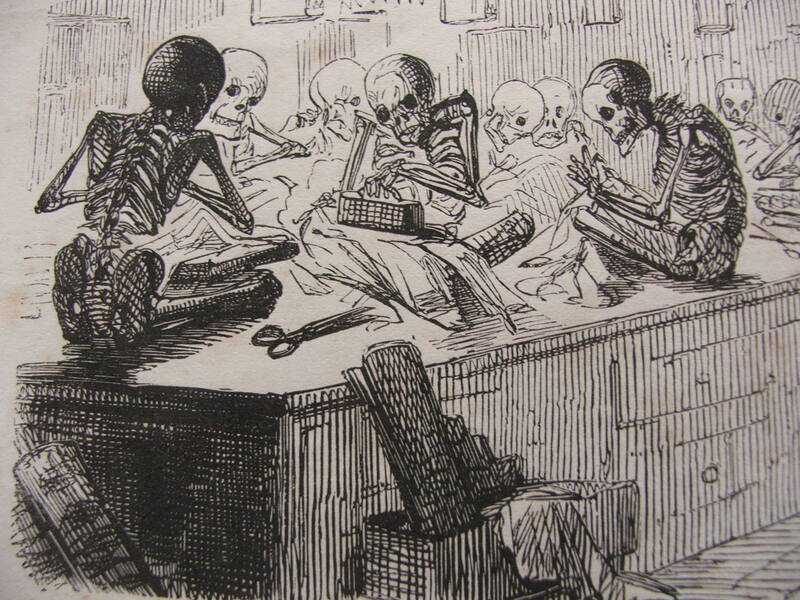 Then came the The Great War (1914-1918) which left an indelible scar on the nation, a psychic scar that the survivors desperately looked to heal – it was a boom time for spiritualism and many felt that they were living at the ‘end of days’. Almost no family was untouched by the war: Mabel herself lost her eldest son who was killed in Action in 1917. Another tragedy that Mabel had to come to terms with and may have added to her need to come up with a solution to the suffering and tragedy she saw around her. 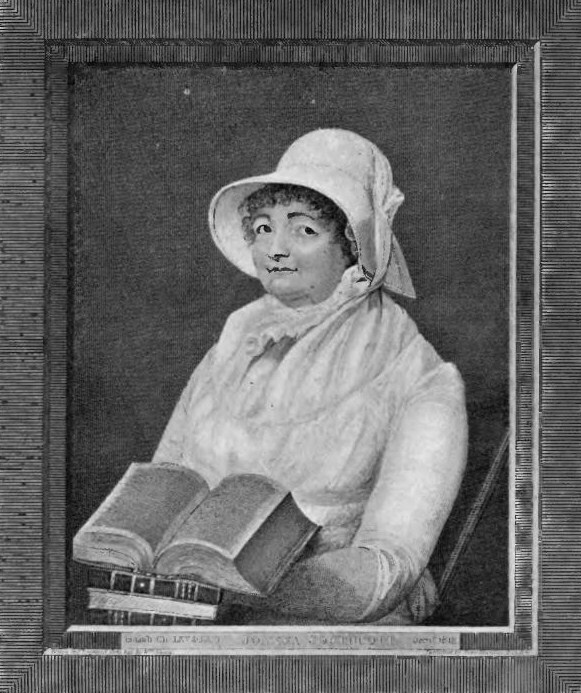 Between 1913 -1919 Mabel engaged in a correspondence with a group of similarly minded, genteel ladies on the topic of the writings and revelations of the English prophetess Joanna Southcott (1750 – 1814). Joanna Southcott sits within the tradition of ‘The Visitation’ – the belief that since the 17th Century divine prophecies have been revealed to English prophets. At the time of Mabel and her correspondence there were seven recognised prophets of the visitation – there would soon be an eighth. Joanna took her prophecies to London, and gathered quite a following, cannily charging anything from 12 Shillings to a Golden Guinea for the privilege of being ‘sealed’ into the elect 144,000. She believed that Revelation would come to pass in 2004. 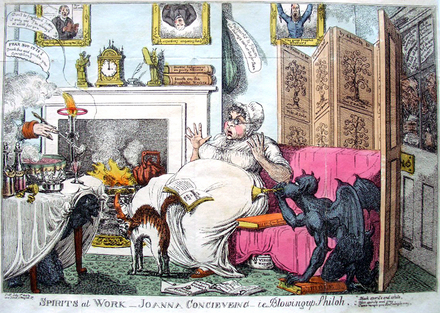 Joanna attracted many followers, and made many prophecies that seemed to come true: she is credited with predicting the death of Bishop Buller of Exeter in 1796, the crop failures and famines of 1799-1800 and the Napoleonic Wars. She also had the disconcerting habit of sealing up her prophecies and posting them to churchmen so they could be tested at a future date. Her most famous sealed prophetic writings relate to the near legendary ‘Joanna Southcott’s Box’ subject of much later rumour and speculation. Charles Williams (active 1797-1850), Spirits at work- Joanna conceiving ie- blowing up Shiloh, 1814. 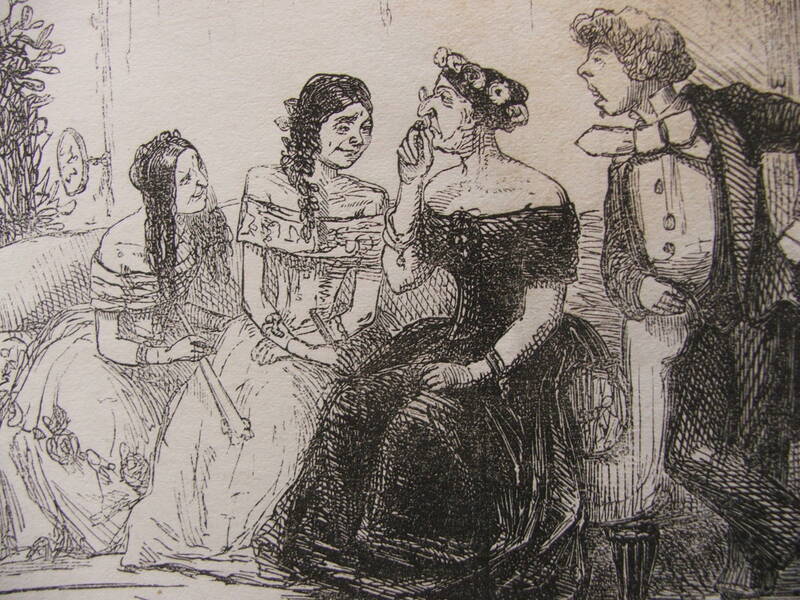 Julie Mellby notes that the book Joanna has been reading is The Art of Humbugging, chapter one. 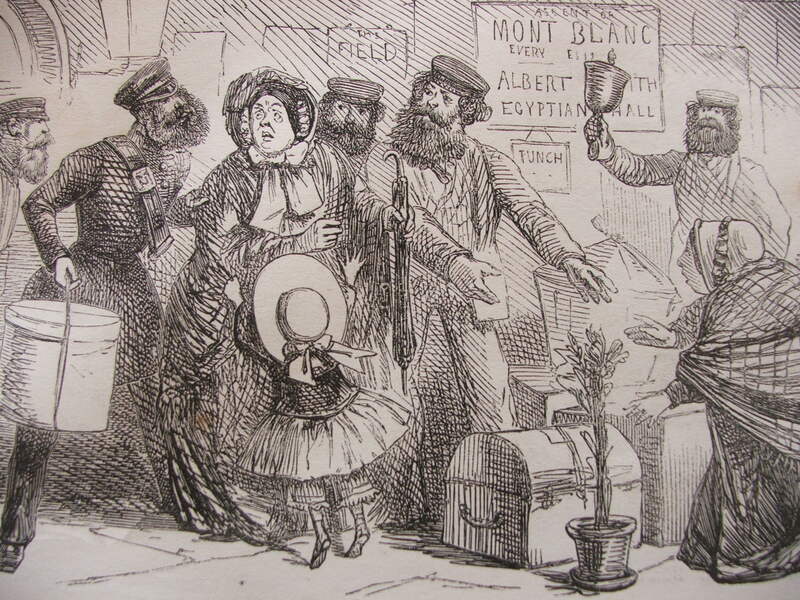 Above her head is a bag labeled: Passports to Heaven, five shillings each or two for Seven. 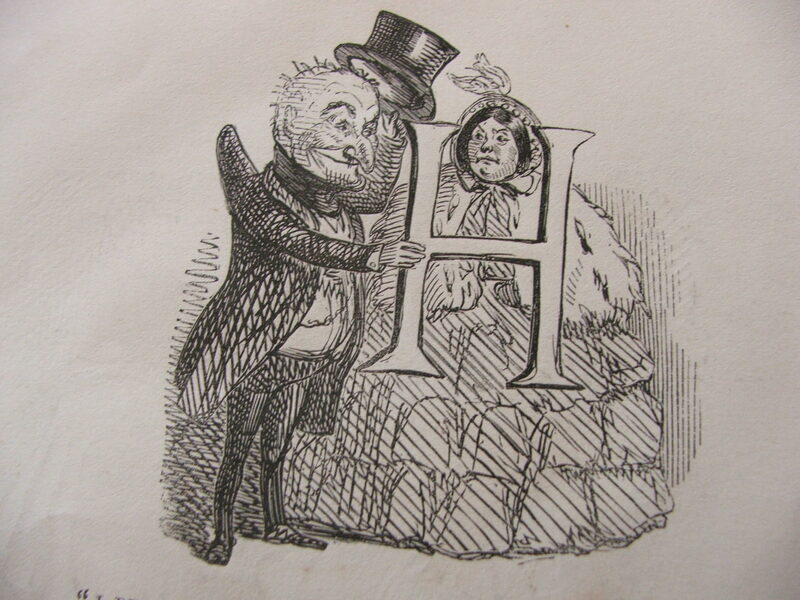 Nevertheless she was not without her critics, and the eighteenth and early nineteenth century caricaturists could be savage. Especially when Joanna at the age of 64 announced that she was carrying the new Messiah, Shiloh, the child mentioned in Genesis. Frenzied preparations amongst her followers resulted in a fabulous silver gilt cradle being commissioned from Seddon’s (a rather swanky cabinet-maker at the time). 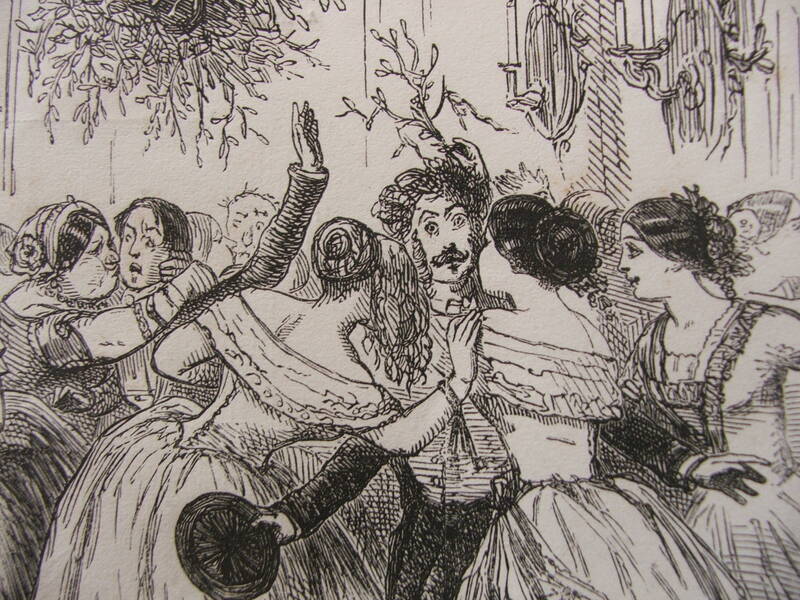 However, the fatal day came and went and no baby appeared…her loyal followers claimed the child was of spirit and had been taken up to heaven, but others thought she had finally gone to far with her flummery. 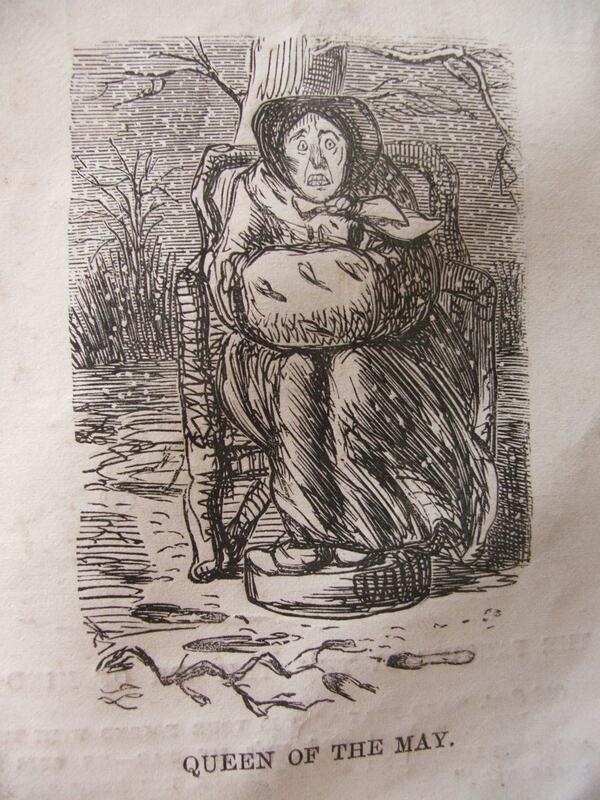 Heartbroken, exhausted and possibly suffering from Dropsy, Joanna died shortly after, probably about 27th December 1814 (although her followers appeared to have kept her body for a few days just in case the prophetess returned…she did not). 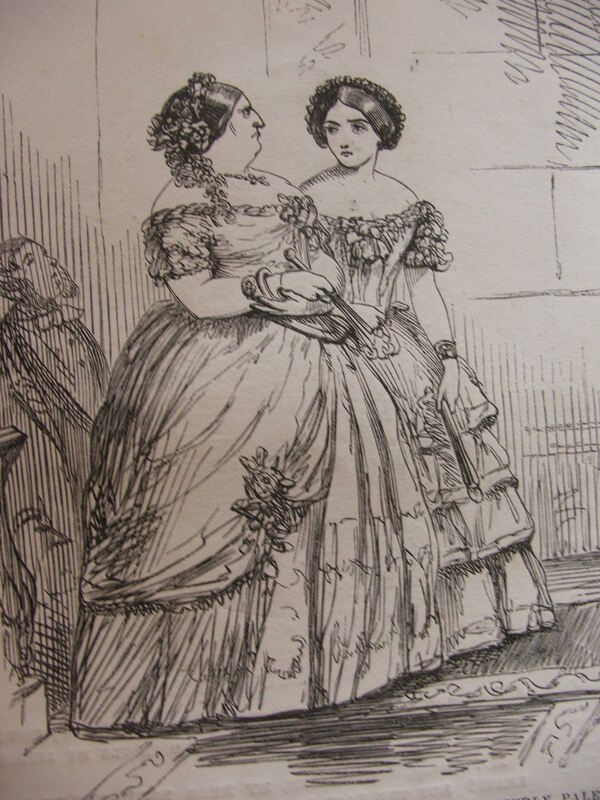 So it would seem that the legend of Joanna Southcott might die with her, but she had some very loyal adherents who kept her prophecies alive, and if legend is to be believed, guarded her box devotedly and handed it down generation after generation until it found it’s way into the hands of the Panacea Society. Swiftly deciding that she was the eighth prophet of the Visitation, Mabel Barlthrop changed her name to Octavia and from 1916 she began receiving daily divine messages at 5.30pm promptly. By 1919 she was convinced that she was in fact Shiloh the divine daughter of God and the female Messiah, and that she must begin preparing for the second coming of the Son of God. 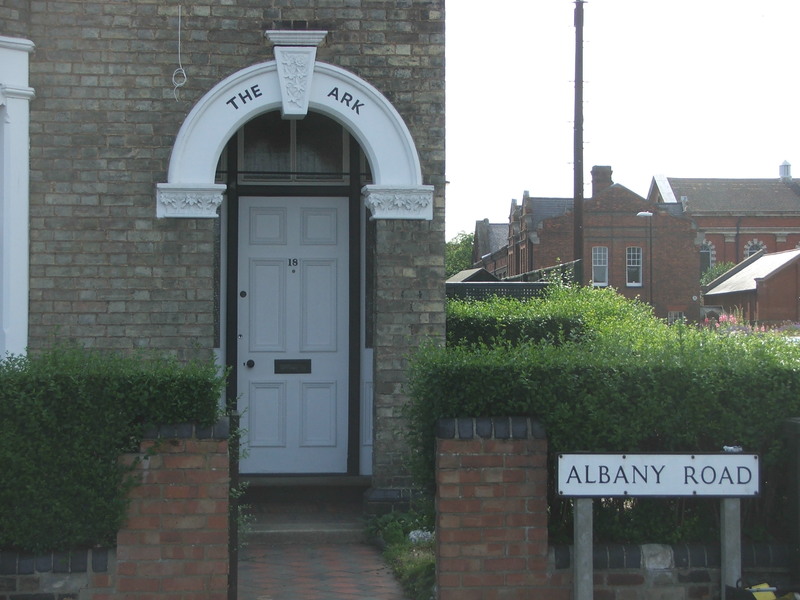 Being a genteel Edwardian lady she set about her task with clubbable gusto – appointing 12 female apostles and obtaining the real estate to set up the New Jerusalem on Albany Road, Bedford. The enclosed gardens became the ‘Garden of Eden’ and the ‘Gathering of the Believers’ began. 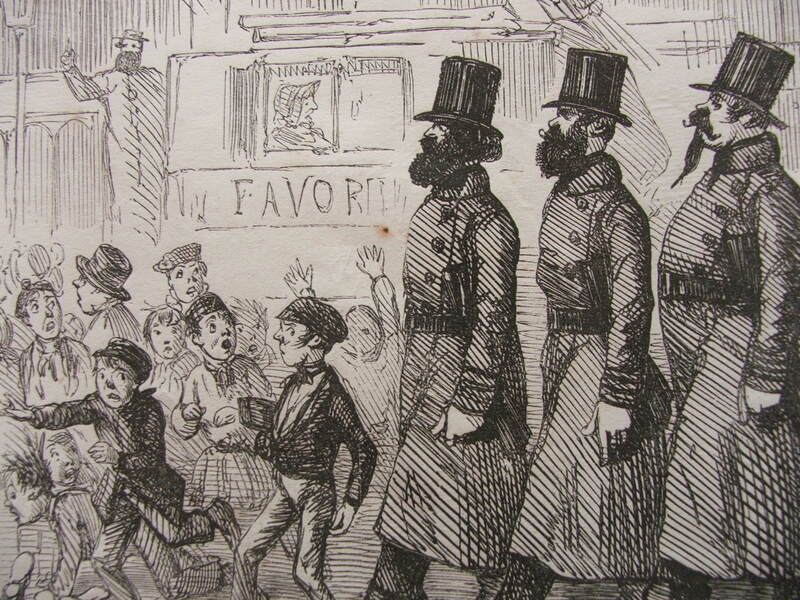 The society which began as the Commune of the Holy Ghost and by 1926 had become the Panacea Society had set religious aims and tenets – one of which is of great interest. Mabel believed that god was not a trinity but fourfold. God the father and son, and God(dess) the mother and daughter. 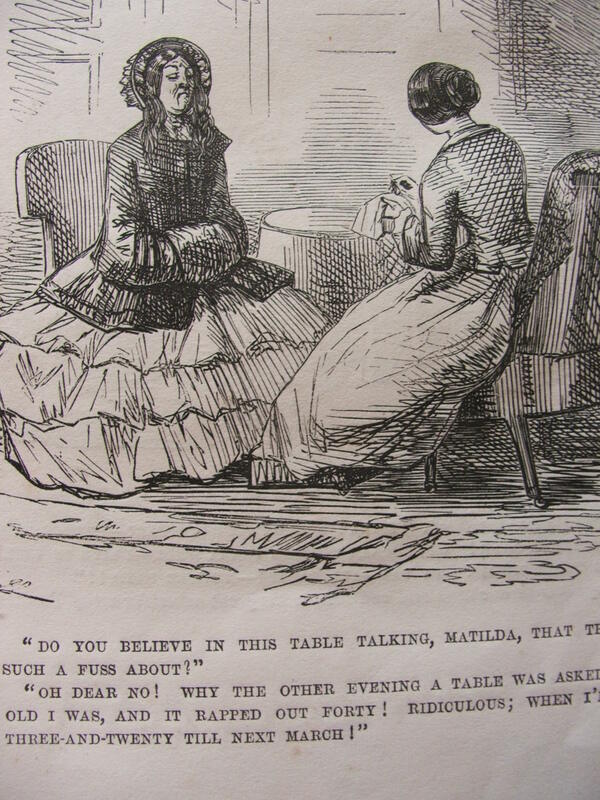 Many of her followers were women, often war-widows, but because of this female doctrine and the concept that Octavia/Mabel was the Female Messiah the Society also appealed to the suffragettes – as it seemed to be an attack on the old boys club of the Church of England. The fact that it was also a largely female commune and entirely run by women – must have been quite refreshing at that time. Church of England Bishops did not oblige and the box remained unopened. Nevertheless the society flourished, with up to 70 mainly female members living in the commune in the 1930’s and thousands world-wide. As part of Mabel’s healing ministry she would breathe on small water-soaked linen squares and post them all over the world – the cloths were believed to have healing qualities. 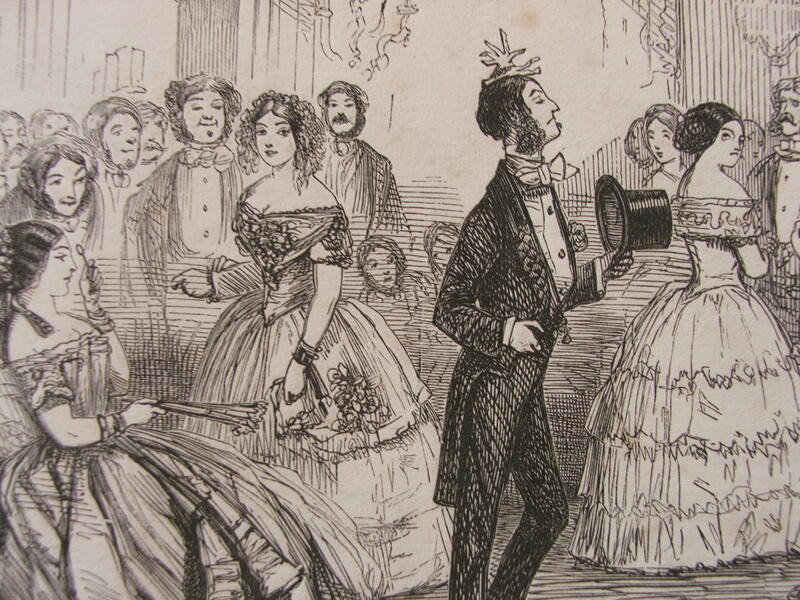 As the commune grew it became necessary for Mabel to set out some ground rules for polite living – the worst of her upper middle class snobbery came out here and some of her rules could seem very elitist: such as members only being allowed to use the term napkin (‘serviette’ simply would not do!). One of the most notable quirks of this group was the very practical steps it took in relation to the second coming. In a very property-owning and British kind of way, the society decided that God, if/when he returns, would require a rather nice Victorian Villa in Bedford. After all, most Brits at the time were convinced that God was of course British, so of course God would want to live in Bedford – so close to London, but near enough to the countryside…close to local amenities etc. The Society also kept Mabel’s house intact, just as she left it when she died in 1934. Even as the millennium came and went, surviving members till hoped that Octavia, the female Messiah would return. 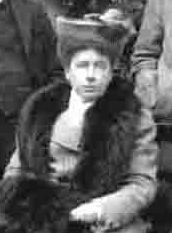 After Mabel’s death in 1934, the Panacea Society lasted but with dwindling membership until its last member, Ruth Klein died in 2012. Although it is no longer a religious community, it’s multi-million pound assets mean that it still exists as a charity – it funds local Bedford charities for the poor as well as funding research into prophecy and Millenarianism. Overall I think that Mabel was sincere in her beliefs, although they did get decidedly odd towards the end of her life (she thought her late husband was Jesus). Her mental break-down following the loss of her beloved husband; then the outbreak of war and the loss of her eldest son; simply must have had a significant impact on her mental state. She seems to have had some of the symptoms of Messiah Complex – and at a time when people were desperate to cling to anything that made sense of the terrible events they had all recently lived through – Mabel/Octavia tried to offer them some hope. 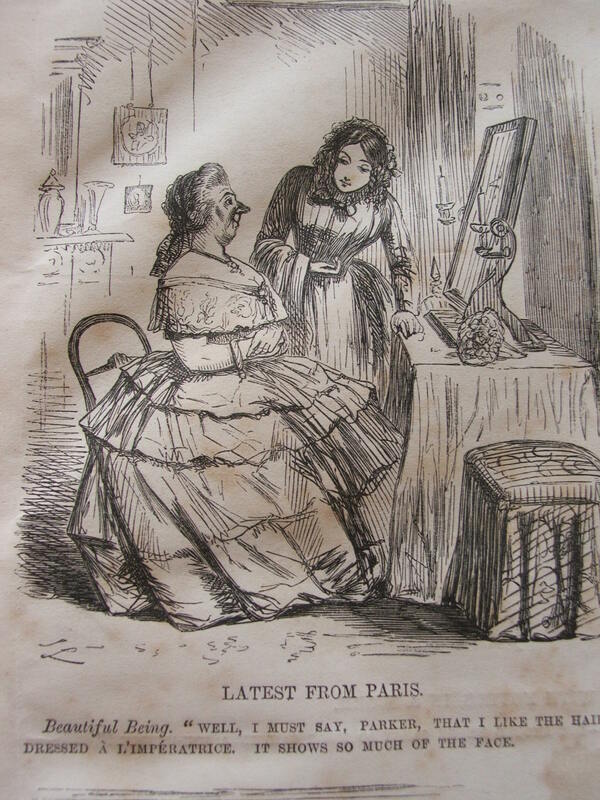 So although she may have been a little deluded, and a bit of a snob, and very much an English Eccentric, a lot of what she did had a very positive impact, especially for the many women left alone and grieving after such a catastrophic war. She also embraced the idea of the sacred feminine and a female godhead which challenged the accepted male oriented Church of England. 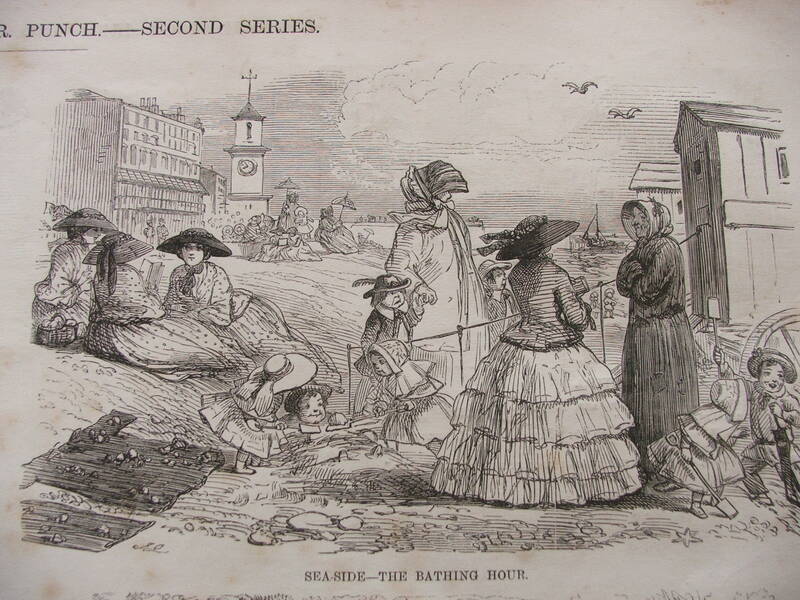 And what of Joanna Southcott’s Box? 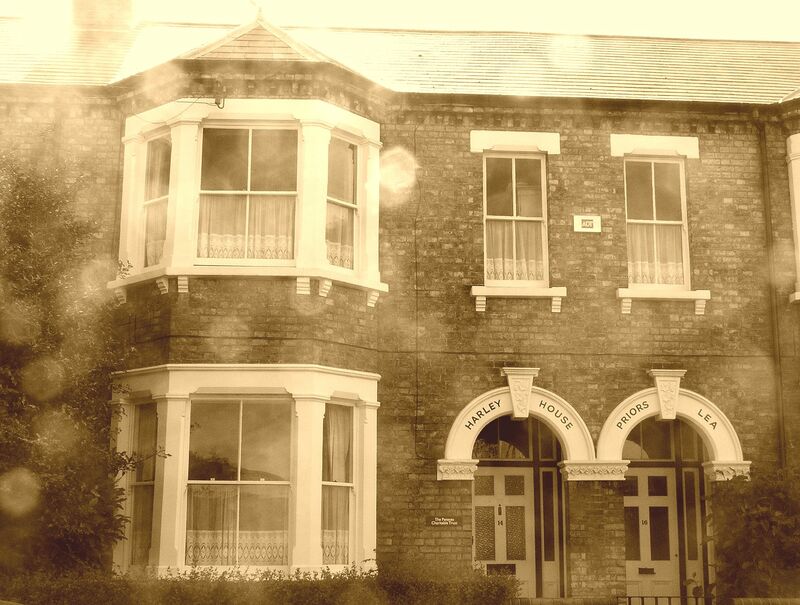 In 1927 the offices of Harry Price (of Borley Rectory fame) received a mysterious parcel. The covering letter purported to be from a Devonshire gentleman who was leaving Britain for far off climes. In disposing of his possessions he came across a walnut box left to him by an aged family retainer. The Devonshire gentleman claimed that it was Joanna Southcott’s box. 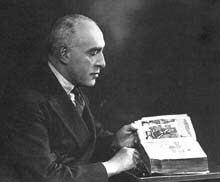 Harry Price was a showman as well as a researcher and was keen to debunk the mysterious box and all things Southcottian. He engaged a number of psychometry experts to sense what secrets lay hidden within. He also wrote to a number of Bishops of the Church of England inviting them to the unveiling – and got a lot of snarky replies for his troubles! 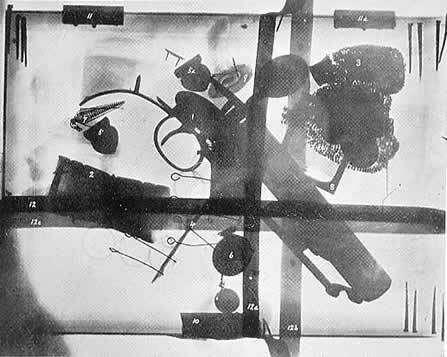 Eventually, on 11 July 1927 at Hoare Hall in Westminster the box was revealed via X-ray (apparently some of the psychometry experts got quite a good feel for what was in the box). With massive press interest and boo’s and hisses from Southcottian’s (and possibly Panacean’s) the contents of the box was revealed. 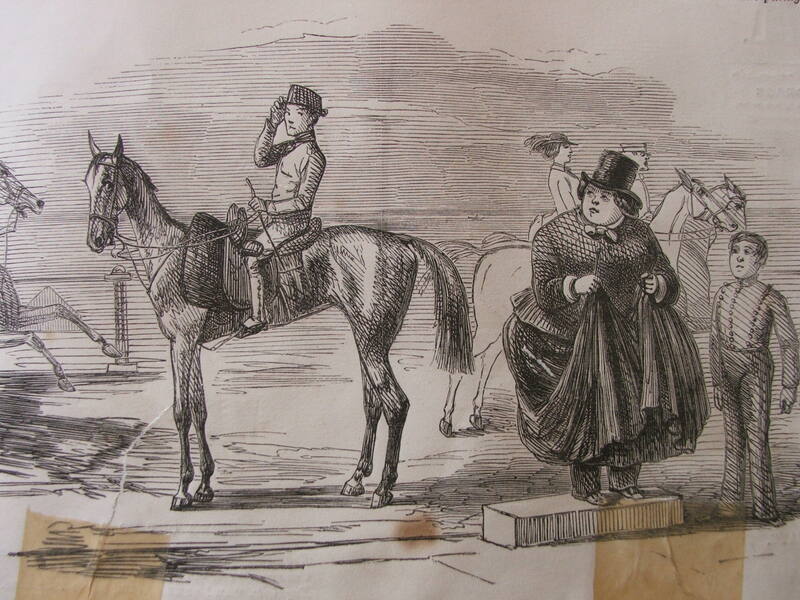 It contained 56 items including: a horse-pistol, a fob purse and coins, a dice box, ear-rings, a miniature, a selection of romantic fiction but not really anything apocalyptic. Unless of course it contained lots of things to help you pass the time waiting for the apocalypse..? Anyway, those who were skeptical sniggered at the believers, whilst the believers hissed at the skeptics and said that the box was a fake. To this day, the Panacea Society state that the Joanna Southcott’s box is in a secret location in Bedford – awaiting the day of judgement. Frigg: Trophy wife or force majeure? When I first began researching the Norse Gods and Goddesses for my series Granny Irene’s Guide to the Afterlife I quickly became fascinated by the potential for ambiguity that surrounds them. 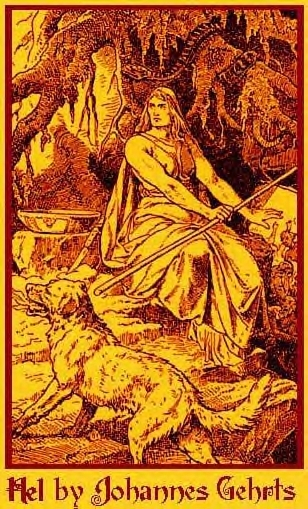 As a woman who has always struggled with the concept of “conforming” and has constantly resisted the stereotypical expectations that still unfortunately exist in what in remains a patriarchal society I found myself drawn to Frigg: Wife of Odin and Goddess of Domesticity and Marriage. 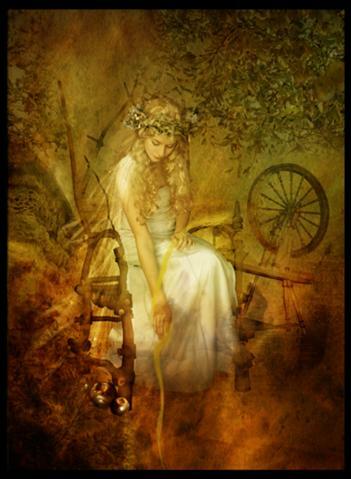 Because of whom “she” is married to and her affiliations with marriage and childbirth, Frigg is also frequently associated with love, however I have done a lot of research and do not believe that she should be mistaken for FREYA, (FREYJA) whom I believe to be the ultimate Goddess of Love. On the surface Frigg (Or Frigga as she is sometimes known) ticks all of the “wifely” boxes. She is blonde, she is beautiful and she lovingly carries out her midwifery duties; successfully delivering bouncing baby after bouncing baby into the world all the while ensuring that her husband’s palace is kept pristine and that he arrives home to a hearty home cooked meal every night. Scratch a little deeper though and you will see that maybe, just maybe all is not as it seems: That there is more to Frigg than first meets the eye. 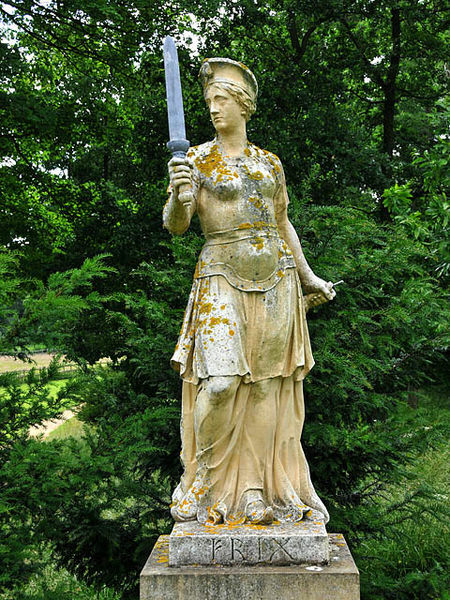 First of all, Frigg is frequently cited as being the only one other than Odin that is permitted to sit on his high seat or throne and gaze out onto the universe: The perk of being Queen? A sign that Odin, in spite of his numerous extra marital dalliances truly loves his wife: Or an indication that Frigg’s power and influence extends further than simply being the trophy wife and that she is a force majeure in her own right? Then there is the legend and the myths which surrounds the death of her son BALDR: Following a series of ominous dreams foretelling his own death, Baldr consults with the powers that be and sweeping everyone else to one side Frigg instantly steps up and assumes a central, decisive position by taking an oath citing every imaginable cause of his death (Including disease, poison etcetera) and by weaving her magic ensures that everything cited is rendered harmless to her beloved son. Cue the malevolent entity, Loki who by using his shape shifting abilities turns himself into a woman and inveigles his way into Frigg’s confidence. Her guard down, Frigg reveals that out of every possible menace in the world the only thing she didn’t guard against was the harmless little mistletoe. Loki then disappears emerging a short while later at “The Thing” (The Viking equivalent of Parliament or government assembly) In order to prove that Baldr has now been “cured” of the curse which was hanging over him the Gods are shooting everything imaginable at him. Loki then tricks Baldr’s brother Hoor, who is blind into shooting him with the dreaded mistletoe and Baldr is killed! Playing to the elders and senior ranking Gods (who are of predictably enough male) Frigg turns on the charm and mindless of her husband Odin, she brazenly asks those gathered who would like to earn all her love by travelling to Niflheim in search of the Queen of the Dead HEL where they are to offer a ransom in exchange for the release of Baldr. Also predictably, Frigg gets her wish and a delegation sets off for the underworld. However they underestimate the capacity for skullduggery that the most twisted of witches possesses for Hel magnanimously agrees to grant the request: On condition that all things must weep for Baldr first, knowing full well that her shape shifting father Loki will throw a massive spanner in the works by assuming the identity of a giantess who refuses to weep…So Frigg and the Gods are thwarted, Baldr perishes, the Gods furiously vow to avenge his death and the seeds for Ragnarök (Norse Armageddon) are sown. Throughout the course of my Granny Irene series I plan on teasing out the many hidden layers of Frigg and will be fully exploring her somewhat dysfunctional relationship with her son Baldr and destructive friendship with Skuld Queen of the witches (NORNS) I also show all of the major Gods in a totally unconventional light and everything is played out against the cataclysmic backdrop of Ragnarök. One of the things that sets her apart in the world of pagan writings is her use of classical sources, academic texts and archaeological findings. You can find out more about Melusine and her other books at her blog Melusine Draco at Temple of Khem. We here at http://www.ingridhall.com have been privileged to be offered the opportunity to review Melusine Draco’s latest book prior to publication. Traditional Witchcraft and the Pagan Revival is part of the ‘Traditional Witchcraft’ series written by the author and published by Moon Books. It will be published on 30 August 2013. This book takes the reader on a sweeping journey through time and spirituality within the British Isles. From archaeological sites in the Paleolithic that hint at shamanism, ancestor cults and an established genius loci; through the medieval period, with its ambivalent view of witchcraft; to the Elizabethan’s and their obsession with Ritual Magic; and the ‘Burning Times’ of the seventeenth century; to the pagan revival in the eighteenth and nineteenth centuries; all the way to the modern period and the birth and phenomenal growth of the Wiccan and neo-pagan movement. Draco uses archaeological sources and historical research to argue that magic and religion were at first intertwined, and later became separated particularly with the advent of Christianity. She argues that remnants of older pagan traditions remained, particularly in more remote areas of Britain, and these remnants and their guardians influenced the development of Traditional British Witchcraft. She also addresses some of the pit-falls of modern interpretations of paganism and their claims to ancient antecedents. She also highlights some of the prejudice that can still be faced by those following alternative spiritual paths. I found this book to be very engaging, enlightening and at times challenging – it covers a great deal of ground in under 200 pages. While there are undoubtably more complex and detailed archaeological and historical studies available and Draco’s interpretation of the evidence whilst drawing on some very distinguished sources, is very much her own, this book provides a good over view of archaeological and historic periods from earliest times to the present day. Her survey outlines the main theories in relation to magical and religious developments within the British Isles and her insight how these traditions and survivals may have influenced Traditional British Witchcraft and Neo-pagan traditions such as Wicca. Her chapters are broken up into the archaeological or historical overview, a ‘story so far’ section interpreting the evidence, and a summary drawing it all together. In a book covering such a vast period of time, this seems a very practical approach. She also provides a detailed chapter by chapter bibliography to aid further research. I was impressed with the depth of research carried out by Draco, she quotes eminent archaeologists and historians to support her theories, and presents this information in a very readable and informative manner. Any book on the history of witchcraft would be hard pressed not to refer to the legendary Margaret Murray, whose 1921 book on witch-cults in Europe had a huge influence on the development of the neo-pagan movement and modern Wicca. Draco uses Murray judiciously, Murray’s theories are now hotly disputed and Draco, although claiming some remnant pagan elements from antiquity may have survived in Britain, does not go as far as to claim an unbroken ancient lineage. I was particularly taken by Draco’s idea of a Jungian Collective Unconsciousness, where over time universal magical knowledge was laid down and stored, ready for those with the ability to tap into in to it in future ages. A sort of metaphysical unbroken lineage rather than an actual genealogical line! Draco also makes an interesting point that many of the academic writers researching the history of witchcraft do not actually believe in witches per se, so approach the subject with an unintentional bias; she also has no truck with a lot of current pagan writings in which she blames for the propagation of lazy and inaccurate historical ‘facts’ – or to use her own phrase: ‘fakelore and fantasy’. I was interested to see how she would approach the ‘Burning Times’, Draco clearly highlighted the difference in treatment of witches in England as opposed to those on the continent who were subject to the inquisition during this period. She also avoided citing the oft quoted figure of 5 million killed during these times, a highly contentious figure which is strongly refuted by academics in the field. (However, the dispute about the numbers killed should in anyway denigrate or dismiss the terrifying truth that hundreds of thousands of people, mainly women, were killed because they were perceived to be witches. And lets not forget that TODAY in many countries around the world people are still being persecuted and killed as witches). Draco is a teacher, an instructor, and this comes across strongly in her writing style. She has some very passionate views on the ‘correct’ approach to studying witchcraft and paganism – and strongly believes in the importance of tapping into the genius loci of an area as a way of connecting to the Old Ways. She is very skeptical of the modern pick and mix approach promoted by many spiritual paths, preferring (as Dion Fortune did) that a person becomes an expert (in more than on path, if desired) before one creates a more individualist path. Draco does not encourage ‘dabblers’. Some may find her muscular approach to her subject and her clear preference for Traditional Witchcraft a little off-putting – some of her views in relation to Wicca and neo paganism can appear high-handed and dismissive (she readily admits that British Traditional Witchcraft can be a bit ‘red in tooth and claw’ and is much more tribal and can seem a lot less open armed than other branches of paganism). This book is clearly pitched at pagan readers rather than history fans, however I think that those generally interested in history would enjoy reading it, as it provides a very good survey of the last few thousand years from quite an alternative perspective: the magical/religious developments of the British Isles in relation to modern paganism. In my view, it can only be a benefit to paganism in general if those practicing alternative paths such as Witchcraft, Wicca or Paganism find out more about the actual history of the subject rather than relying only on those books that provide a very appealing but not necessarily realistic view of pagan history. 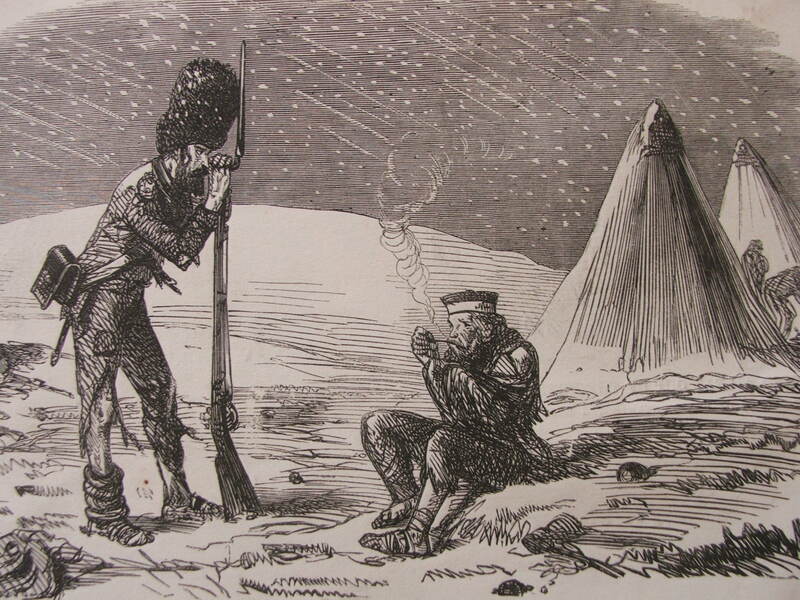 As a result some currently accepted historical ‘facts’ might be consigned to ‘folklore’ but that’s not to say they lose their significance – it just tempers it. Although some of the interpretations of the archaeological and historical record are open to challenge, for a book of under 200 pages that successful navigates many thousands of years of history and dealing with quite a controversial subject this is only to be expected! This is a book that makes the reader ask questions, think about the evidence, and hopefully explore further. I found it a thoroughly fascinating read. My really good friend Ingrid Hall has just published a serialised and revamped version of her novel Granny Irene’s Guide to the Afterlife. Its a rip-roaring tale filled with Viking gods, reincarnation, murder, mayhem and brothels, all told from the viewpoint of one feisty (and slightly deceased) Geordie Granny! It’s available on Amazon as a paperback and kindle edition. If you fancy a summer read you won’t forget in a hurry – buy it! You will never have read anything like it!!!! 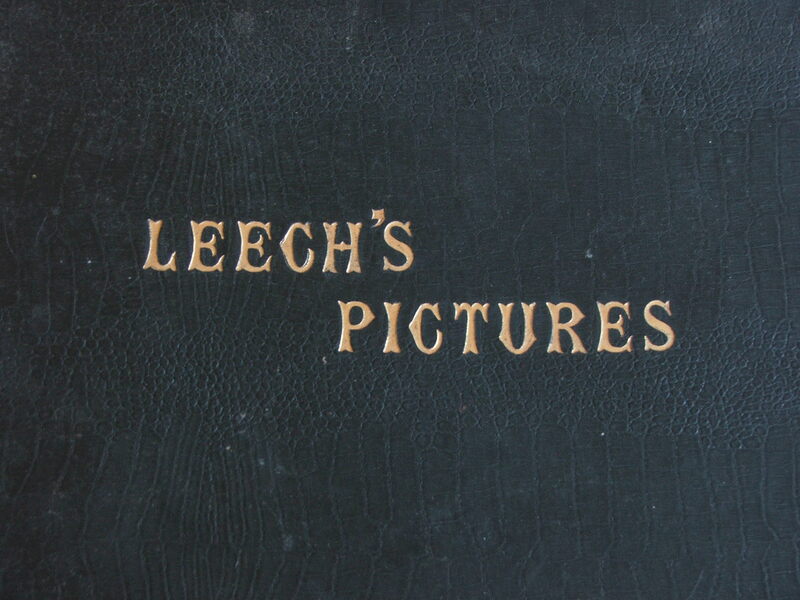 Finding a (rare) idle moment today I was perusing my book shelf and came across a book I had almost forgotten about… Leech’s Pictures. I picked this book up in a wonderful dusty little bookshop in Holt, a beautiful little Georgian market town in Norfolk. The bookshop is in a rickety and maze-like seventeenth century building with crampt and winding staircases that require careful navigating – especially with a pile of books in your arms! When ever I visit Holt I make a beeline for this bookshop – there are so few independent booksellers left on the High Street these days, it’s always a treat to find a real Gem like this one. 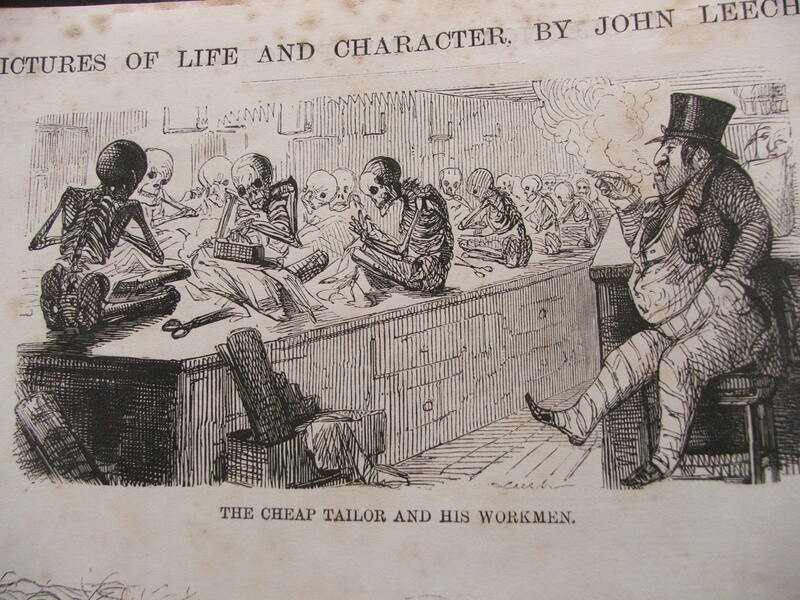 John Leech was born in London on 29th August 1817, his parents hailed from Ireland. Even as a child he was quick with his pencil and his talent was quickly recognised. 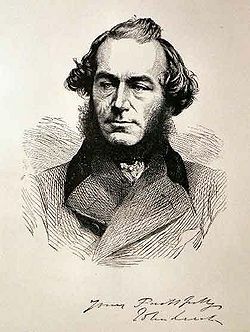 He went to Charterhouse school and there became friends with William Makepeace Thackeray (famously the author of Barry Lyndon and Vanity Fair) – the two remained friends for life. 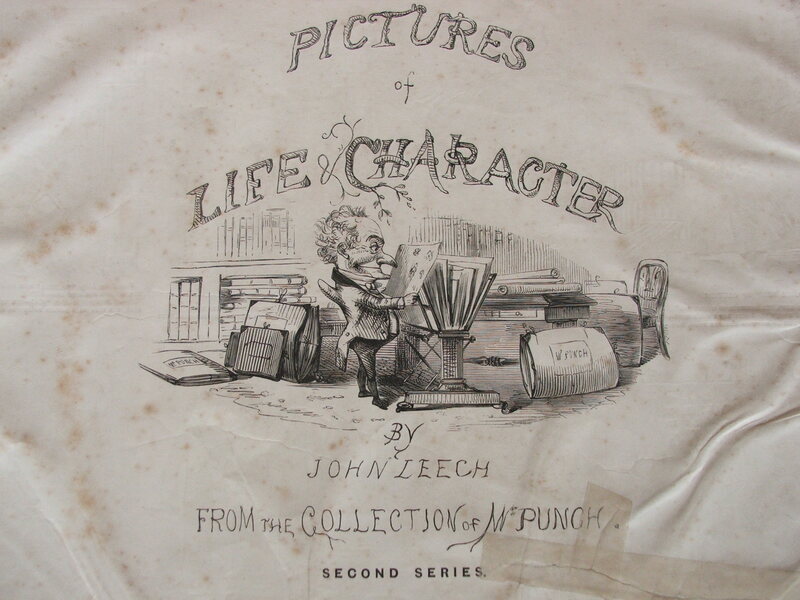 Although he had some medical training, by eighteen he had begun to focus on his art as a profession and published some comic character sketches under the name of Etchings and Sketchings by A. Pen, Esq. 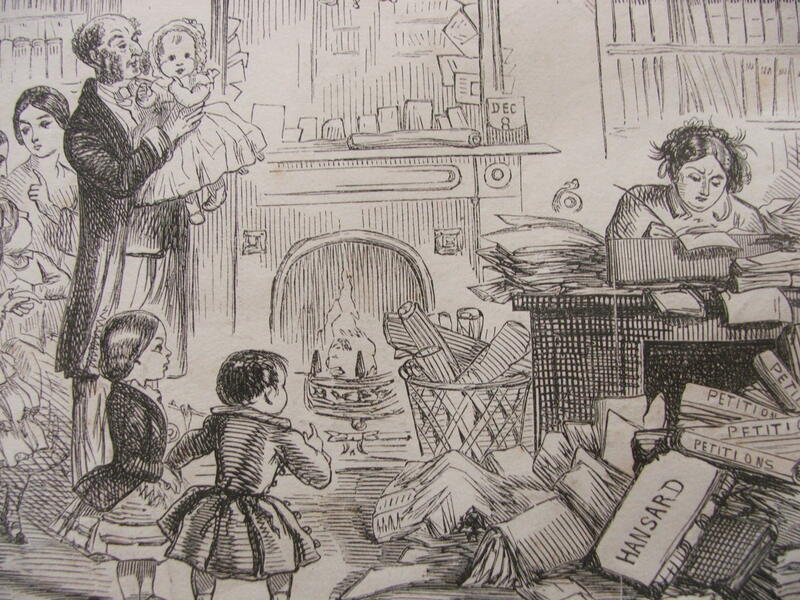 He then worked on a number of magazines and produced illustrations for Dickens novels such as A Christmas Carol. 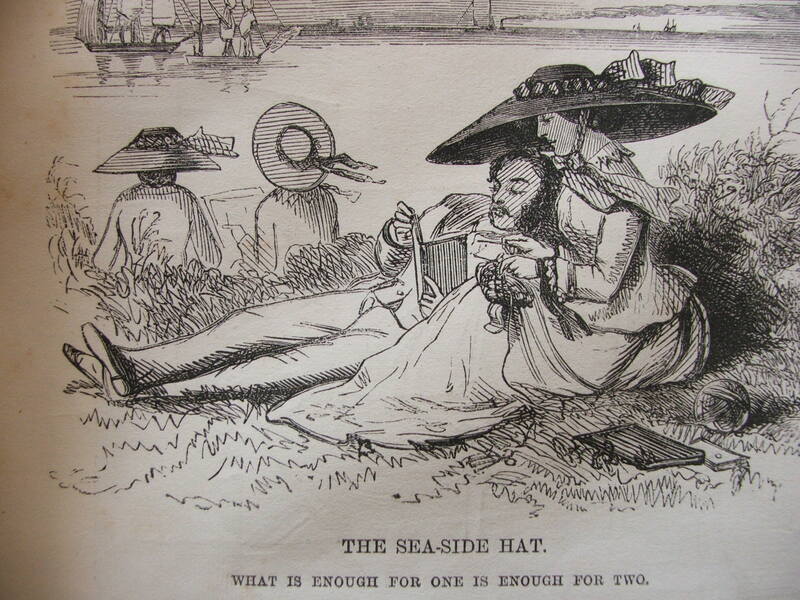 He worked in Lithograph and Wood Engraving, the latter being his main method of illustration in Punch Magazine. 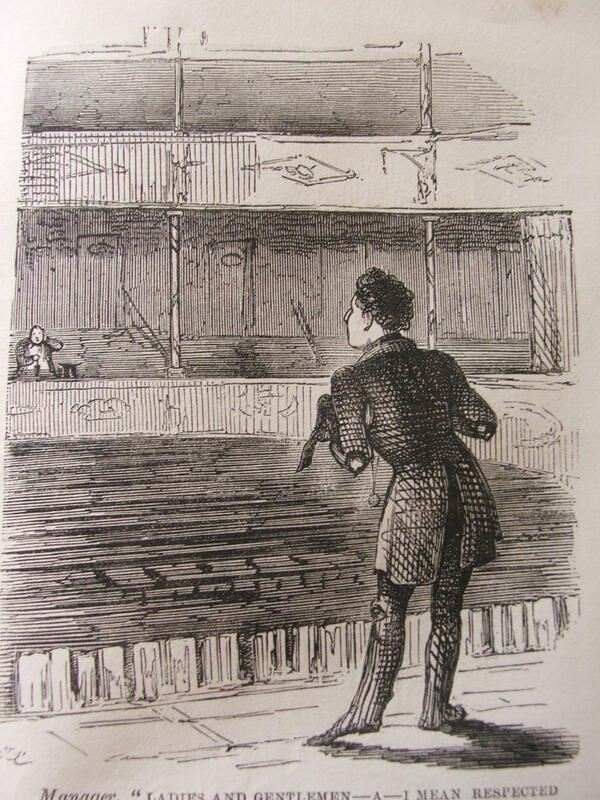 Leech’s satirical sketches mainly focus on mocking the social foibles of all classes, and he was also famous for his sporting scenes. 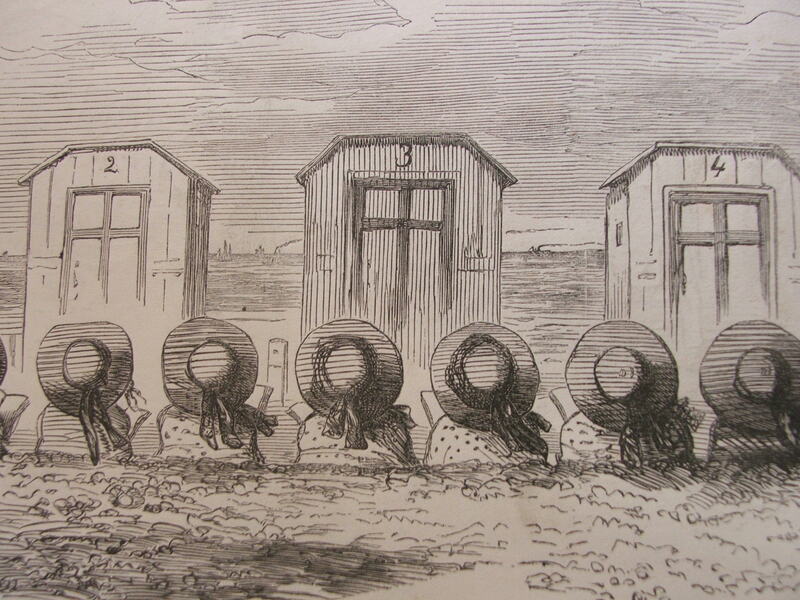 Nevertheless his illustrations also sometimes have a keener edge. 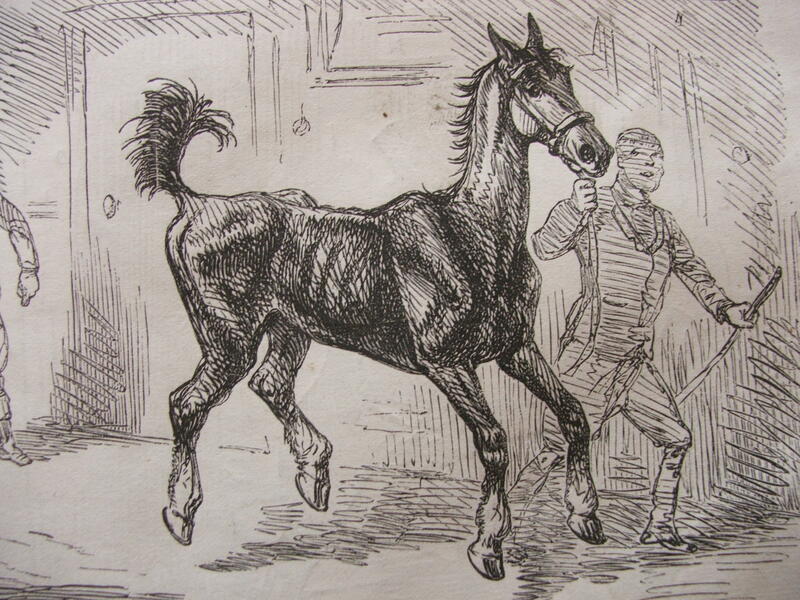 Leech was not afraid to look at some of the harsher truths of life in the Mid Victorian world and he seems to have had a keen sympathy for the plight of horses. 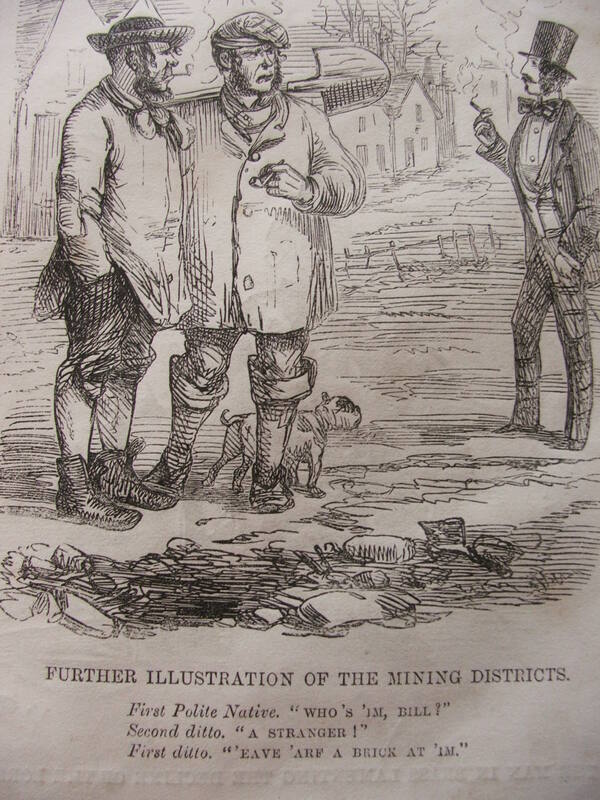 I find the sketches to be a fascinating window onto the world of Mid Victorian Britain: its mores, its aspirations, its foibles. 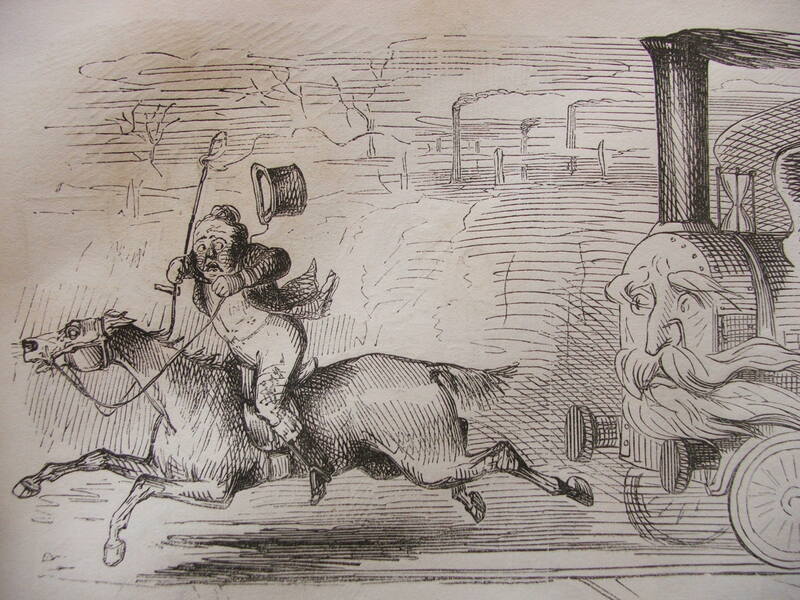 Leech’s pictures help, literally, to illustrate some aspects of the Victorian mindset and world view. 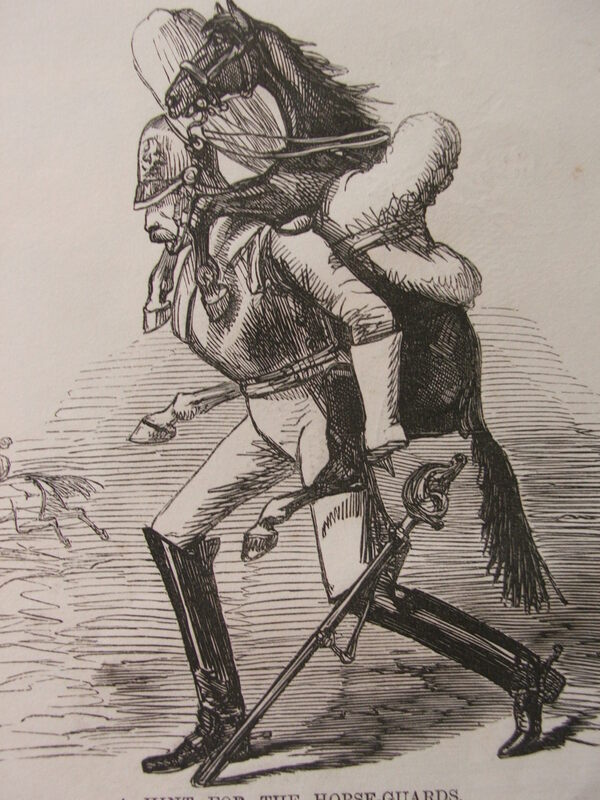 As such, his humour can take a somewhat hierarchical, patriarchical and ultimately imperialist tone (some of the depictions of other races in particular, can appear very distasteful to the modern eye). However as an overall barometer for his era they provide a valuable social commentary. 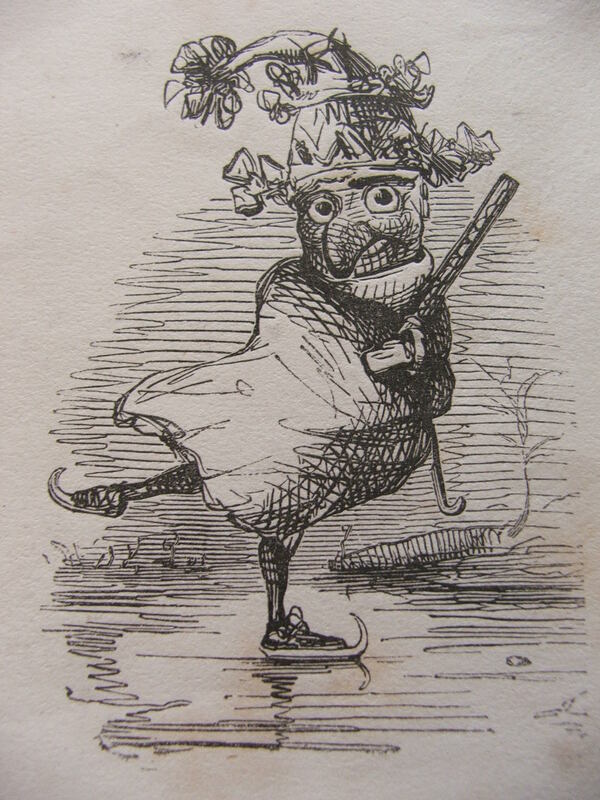 Despite these flaws, many of his sketches show a keen eye for human nature, and even after nearly 150 years the humour remains evident in many of them. 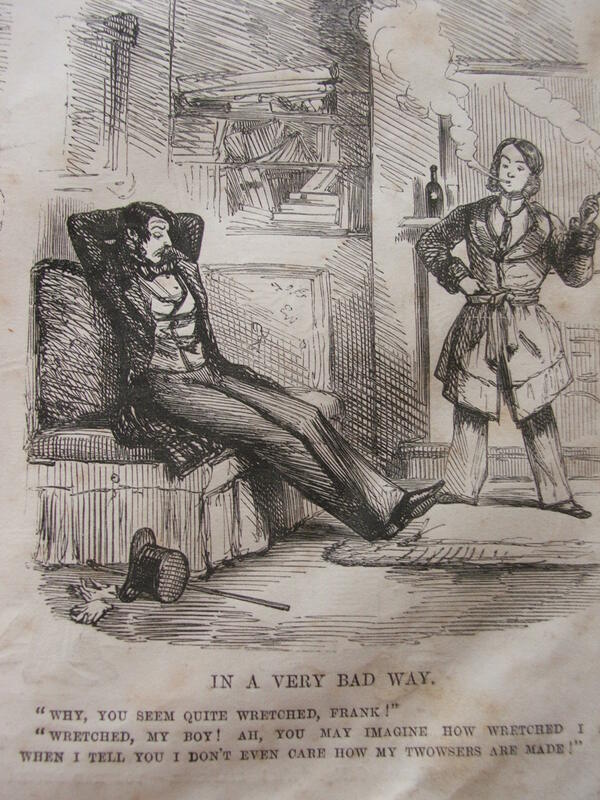 Here are a few images from my copy of Leech’s pictures, they are from his Second Series and seem to date from the 1860’s – the book has clearly been read and re-read hence some of the images are a little, shall we say, crumpled! If you click on the images they come up full size so you can read the captions. 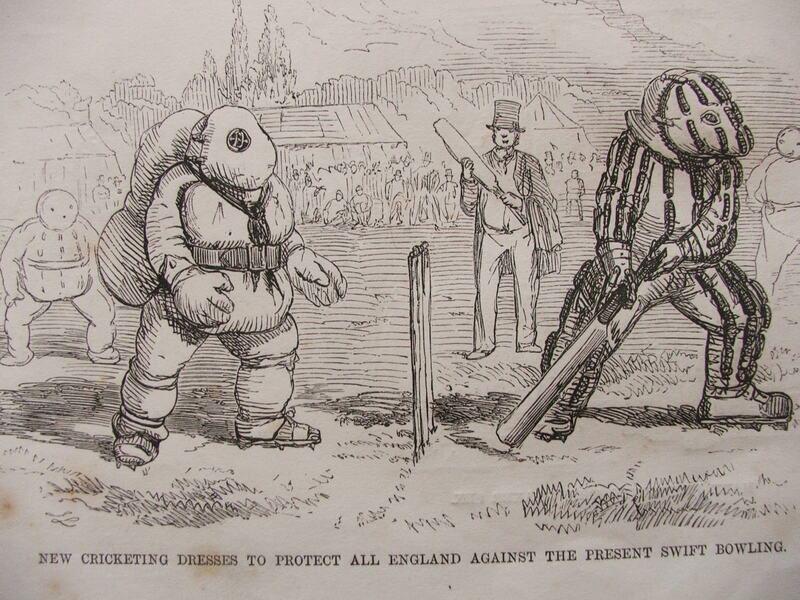 New cricketing dress to protect all England against the present swift bowling. New Christmas game for fox-hunters during a long frost. 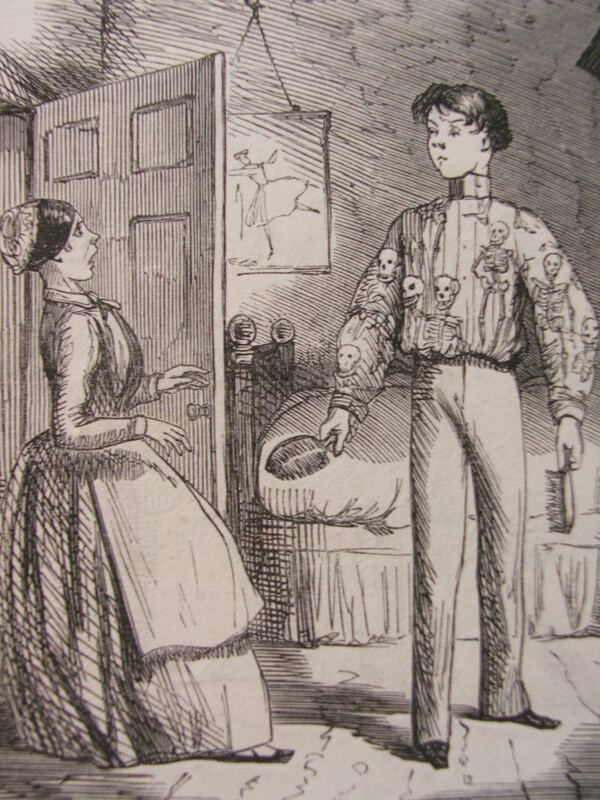 An early example of Goth fashion? A hint for the horseguards. Showing how all the weight of our heavies might be preserved, and more fairly adjusted. The peril of keeping ones gloves in ones hat.